Ease, convenience, quality, reliability – these are features any gadget aspires to. 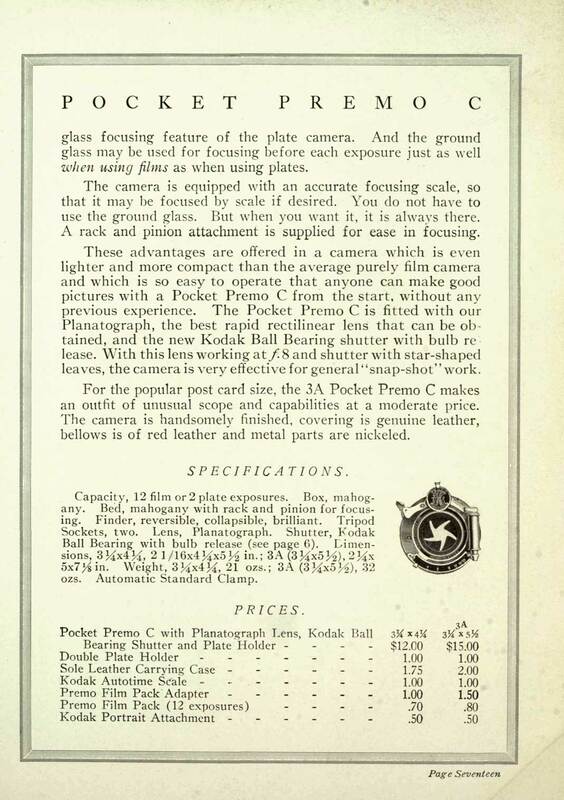 Eastman Kodak placed those attributes on the first page of their Premo camera catalog of 1914. They were valuable attributes in 1914; they are valuable attributes in the 21st century. What’s changed us how we measure these attributes. 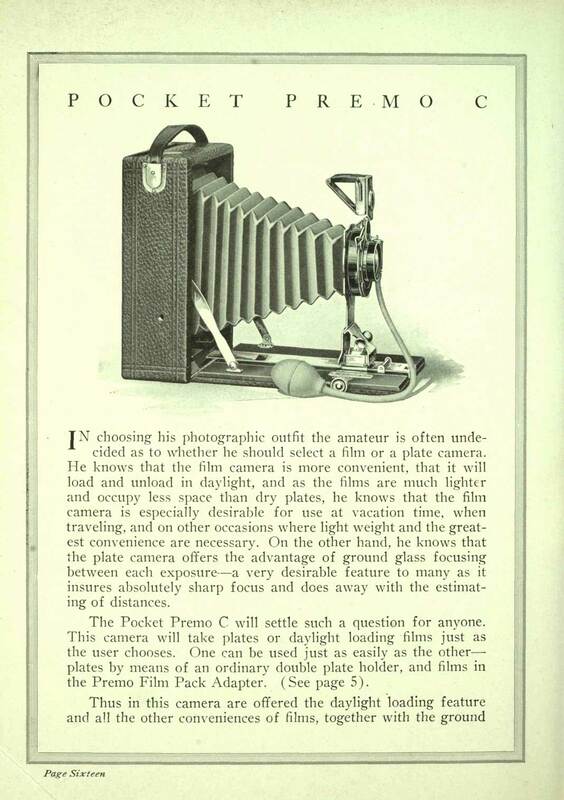 In 1914, of course, cameras were utterly analog. 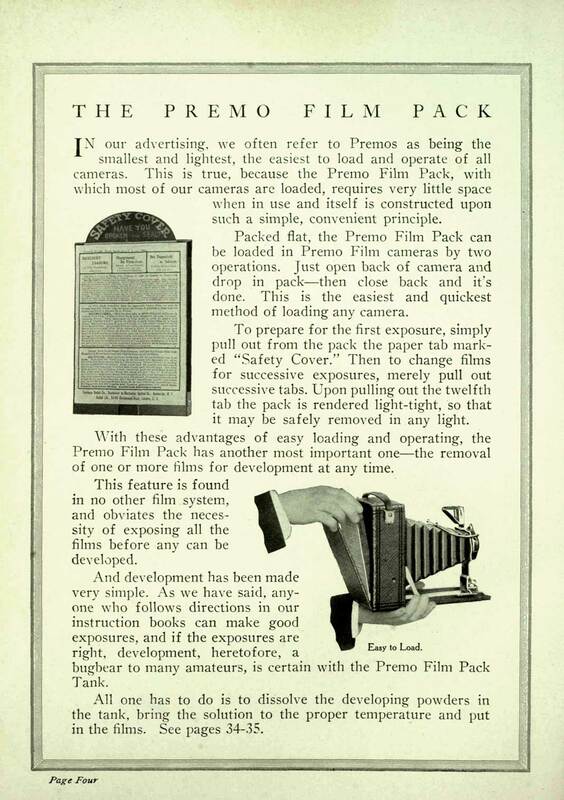 They used photographic film, and that required processing. 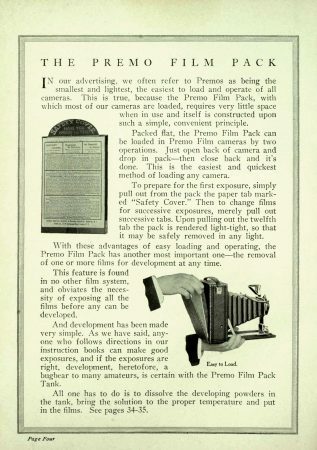 A Kodak Premo could take just 12 pictures before you replaced the film pack with another one. It was an easy and fairly foolproof operation by the standards of the day, though – you could do it in broad daylight. Convenience? 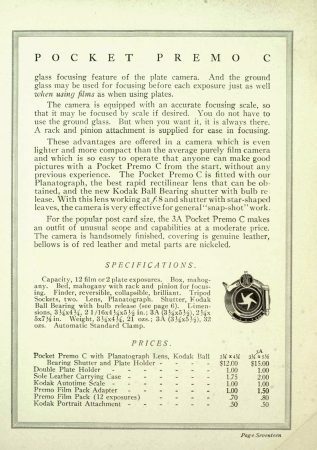 The so-called Pocket Premo measured about 5″ x 7″ x 2″. Quality? Genuine leather parts. Reliability? It was made by Kodak, who pretty much invented modern photography. Progress has changed how we evaluate things. Kodak is thought by many to be on it’s last legs, a victim of digital imagery. Iphones are made of all sorts of exotic materials. Even the largest mobile phone fits in a pocket better than a 2″ thick Premo camera, and they take more photos than George Eastman ever dreamed of. Of course if your iPhone or Android would only take 12 pictures before you mailed off the guts to be developed and returned, our world would be burdened with far fewer selfies.